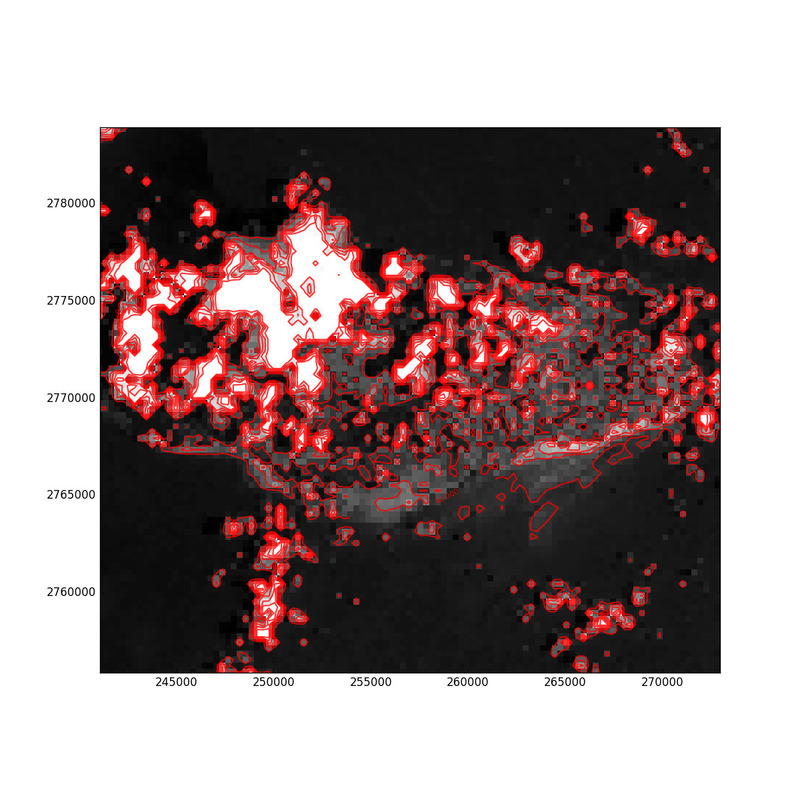 Rasterio reads raster data into numpy arrays so plotting a single band as two dimensional data can be accomplished directly with pyplot. 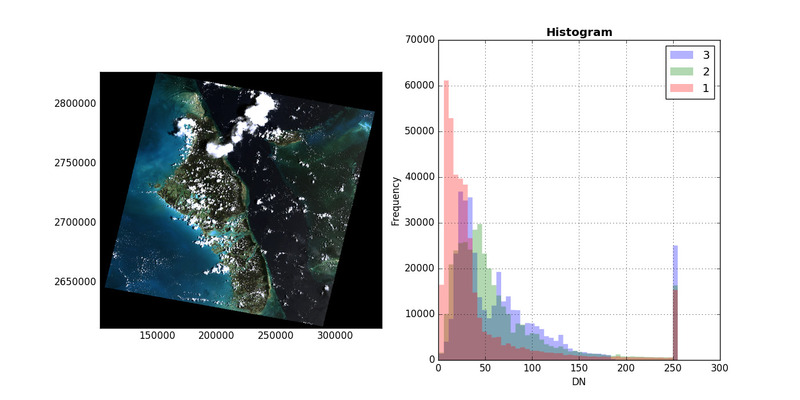 Rasterio also provides rasterio.plot.show to perform common tasks such as displaying multi-band images as RGB and labeling the axes with proper geo-referenced extents. A numpy ndarray, 2D or 3D. If the array is 3D, ensure that it is in rasterio band order. Thus the following operations for 3-band RGB data are equivalent. Note that when passing arrays, you can pass in a transform in order to get extent labels. 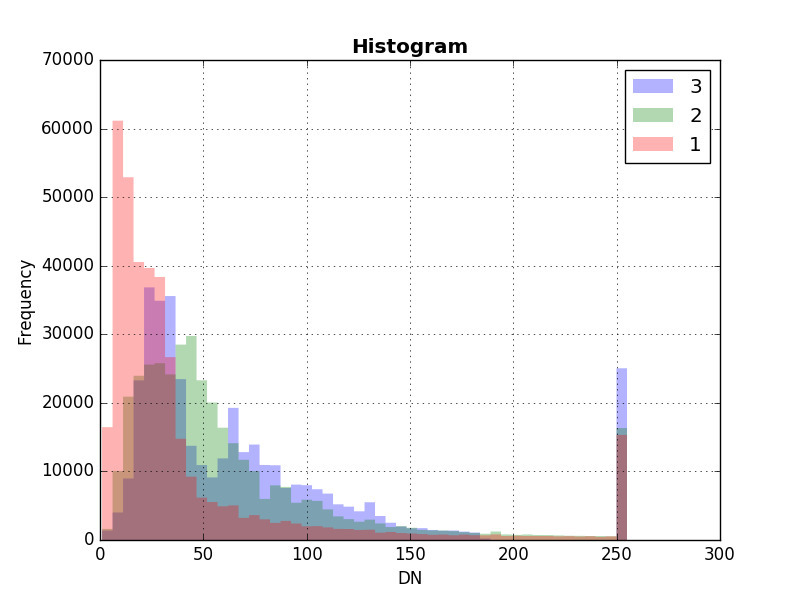 and similarly for single band plots. Note that you can pass in cmap to specify a matplotlib color ramp. Any kwargs passed to show will passed through to the underlying pyplot functions. You can create a figure with multiple subplots by passing the show(..., ax=ax1) argument. Also note that this example demonstrates setting the overall figure size and sets a title for each subplot. 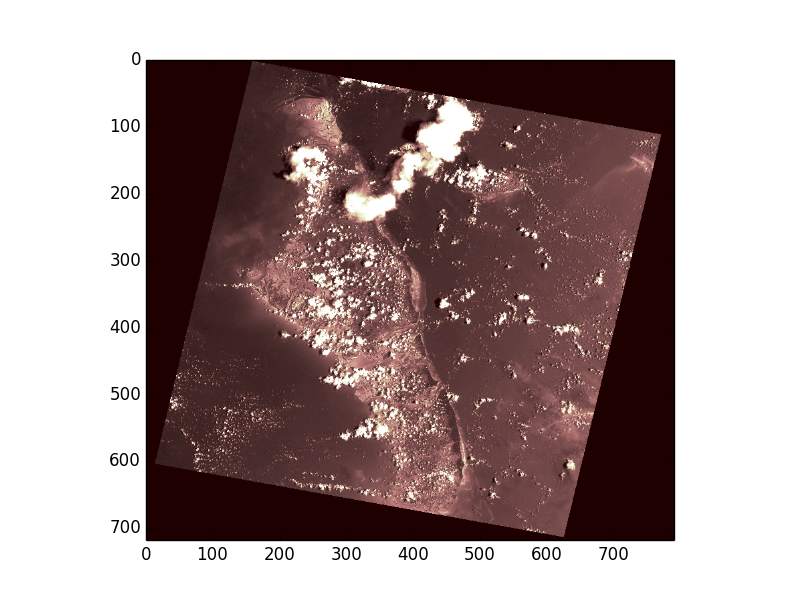 For single-band rasters, there is also an option to generate contours.